We’re in the middle of a busy time of year for families and headed right into the busiest time of the year! It’s also a time when I spend a lot of time in the kitchen and I know the same is true for a lot of families that we’re friends with. The kitchen is the heart of the home, right? During the holidays having a kitchen that works well for your family is a priority. Having great appliances is one thing I love in my kitchen and I’m loving the latest Whirlpool Appliance I have my eye on — the Whirlpool Convection Over-the-Range Microwave! I’m excited to share more about this gorgeous kitchen addition in partnership with Best Buy. So why have I fallen in love with this microwave when I have a perfectly good microwave in my kitchen now? Yes, it’s part of Whirlpool’s line of smart appliances. If you’ve had the chance to experience smart appliances, you know how they can make life just a bit easier. When you’re a busy family on the go, every little bit helps! Get the right settings every time. You can scan a frozen food barcode with your smartphone or tablet and send recommended or customized cooking instructions straight to your microwave for dinner done the way your family wants it! If you have kids learning to cook for themselves, this is HUGE! The touchscreen on the Smart Microwave learns, adapts and suggests customized presets based on your family’s routines. The dynamic system tracks preferences to learn family favorites – from what families cook, when they cook and how they cook! Enjoy mealtime flexibility and control your appliances from any room in your home! This feature makes managing mealtime easier with the click of a button! ** Can you imagine how much easier that would make holiday cooking and entertaining? **WiFi & App Required. Features subject to change. Details and privacy info at whirlpool.com/connect. Appliances must be set to Remote Enable. Think about how much you could get done by being able to use the touchscreen or control your microwave from your phone! Talk about hassle-free! From now through October 30th, you can save up to $400 on select Whirlpool kitchen packages! 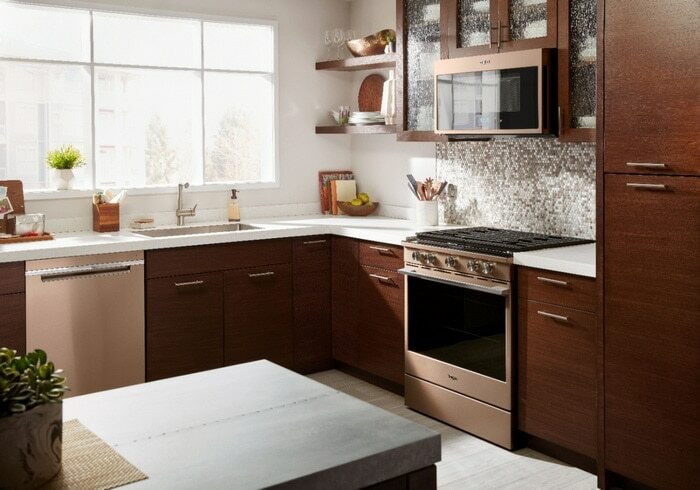 Learn more about Whirlpool Appliances at Best Buy and start planning your perfect kitchen for the holidays! Stay up-to-date on all the Whirlpool offers available at Best Buy!